We offer valet every evening exept for Sunday, beginning at 5:30 PM. Parking garages and street parking are available. 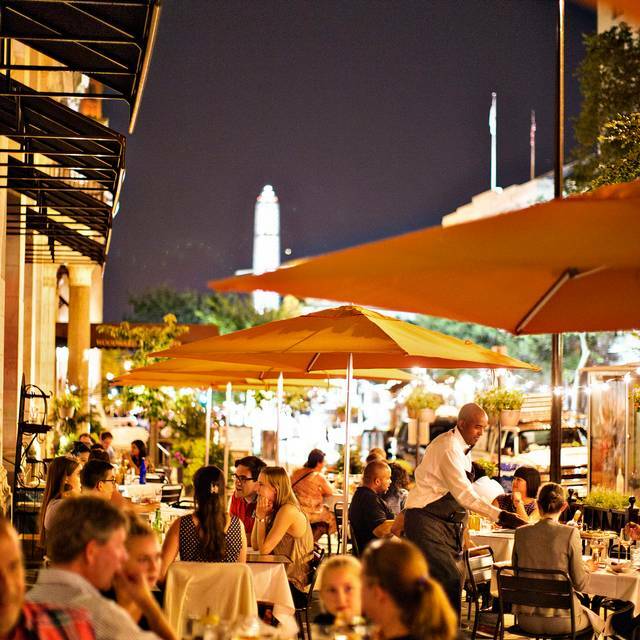 We are located half a block away from the McPherson Square metro. Private dining is available for groups of 15-40 people. 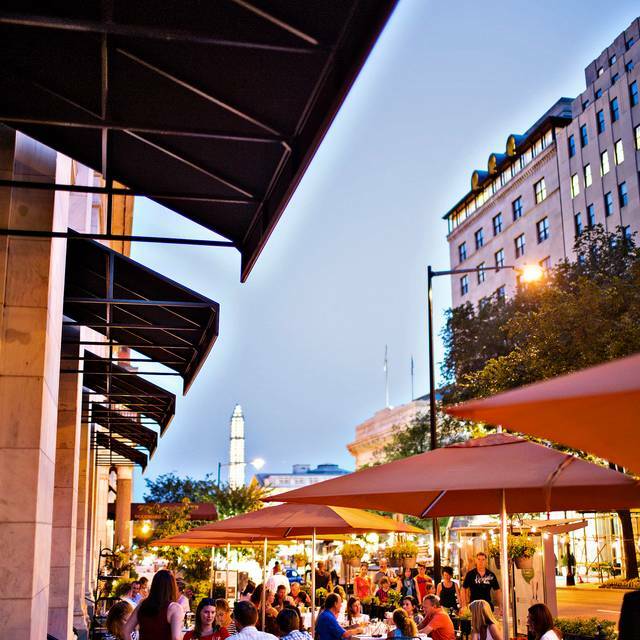 Located just one block from The White House, Woodward presents a myriadof dining possibilities with two eateries...the main restaurant with its creative and diverse American menu and Woodward Takeout Food, a sprite artisanal alternative for breakfast and lunch. 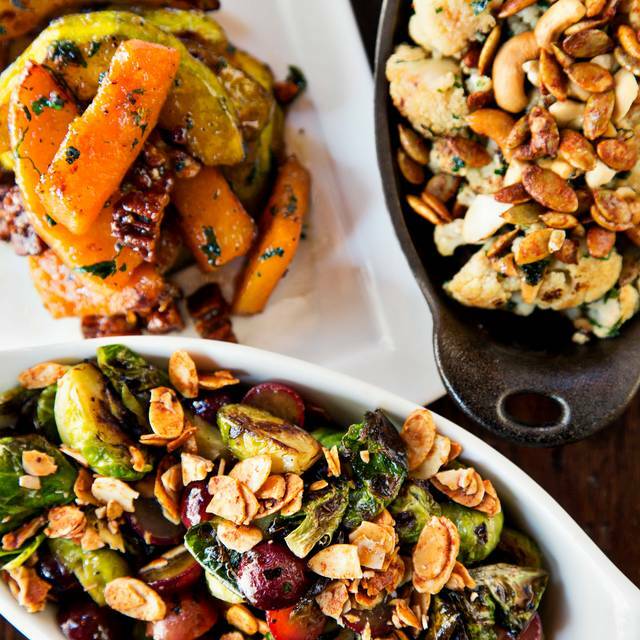 The soul of Woodward Table's cooking involves creating seasonal iconic American dishes with our chef's contemporary approach and a regional repertoire of ingredients. 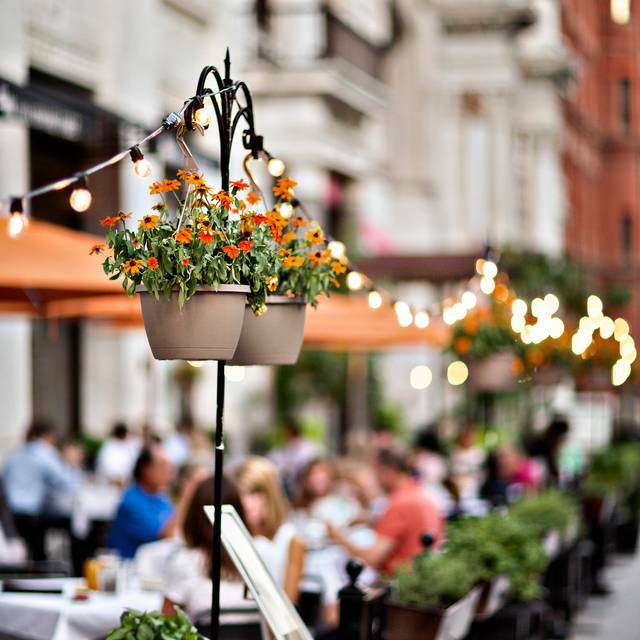 For Mother's Day, Woodward Table is offering our wonderful brunch menu with seasonal specials from 11:00 am to 3:00 pm. Dinner Service will feature our regular dinner menu. Three of our four meals were top shelf. The center cut pork chop was tough. Recommend sous vide then sear! Buffet very disappointing - no items labeled, vegetables cold, lack of replacement of items. They don't normally do buffet & today proved they shouldn't. We were there for 40 minutes before we got our wine/beer. The meal came within minutes of getting our drinks. I canceled the cheese board when the wine finally came, which was supposed to be an appetizer. It’s a god thing because our main meal arrived within a minute of finally getting our drinks. We watched another table leave because they were so frustrated with the disorganized service and slow drinks. If you want a waiter who shows no enthusiasm, doesn’t smile, is abrupt and seemingly completely uninterested in the guests that he’s serving, then be sure to ask for Lateef when you make your reservation. Otherwise, the place is very attractive and the food is very, very good. The place and food were really unique and excellent. My husband and I went for lunch on Saturday and were seated quickly as we had made reservations on OPEN TABLE - however, we were extremely disappointed by the table/placement as it was in the very farthest corner and I mean CORNER - tiny 2 seater table near 3 large group tables that had very loud people which echoed in the tiny area. We could not see anything - barely out the big windows as we were so far back against the last wall of the place. Sad - because we like ambiance and wanted to sit outside on such a nice afternoon. Also our waiter was not the most welcoming or personable. We forgive him as we saw he was extremely busy with the large group tables - but he could have greeted us - at least acknowledge we were there the 7 times he passed us before saying hey - sorry for the wait. THE FOOD HOWEVER, was absolutely delicious. The menu is fun and filled with all kinds of neat combinations and flavors for everyone. We shared the Lox N Bagel tray - fresh and yummy. The She-crab soup was FABULOUS- maybe the best had yet - the kentucky hot brown was a really delicious version of a turkey open face - sandwhich doesn't do it justice - and Eggs Picaditas was a fried egg with house made chorizo sausage, avocado, queso fresco, black bean chipolte aioli cilantro on a corn masa sopes - way more delicious than I had imagined and such a large serving!!!!! Could not finish - but could not leave it - The desserts are necessary - my husband had the banana buorboun cake which was amazing - I sat and enjoyed a port wine instead. Will go back - but will definately request a better table - view - or wait to sit outside. We ate outside, the service was great. The food here is always good. We were able to relax and enjoy our dining experience. We have made this in to one of our regular places. We came for the Parkerhouse rolls - delicious!! The rest of the menu is overpriced and very limited. There was nobody outside to handle the discounted parking, so we parked next door for $15. I would return for "to go" rolls, but nothing else. 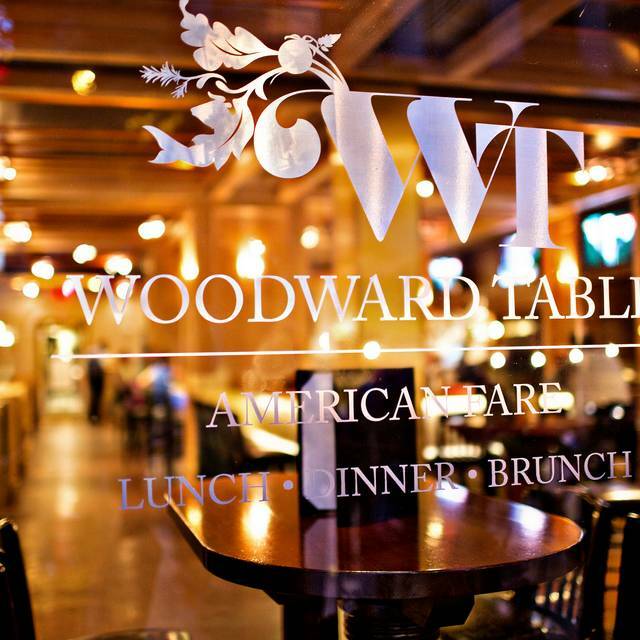 We go to the Woodward Table every time we’re in DC. Everything — menu, food, service — was wonderful. I went with two others for my birthday (they brought a tasty ice cream treat on the house). I really wanted a BLT, but they only make crab cake BLTs. I asked if I could get it without that crab cake. They said yes and the BLT was really good, but they could have put more bacon on it instead of three slices of bacon to compensate for the crab. The bread was good and it was an acceptable BLT. My friends loved the cauliflower dish and the she-crab soup. Everyone was happy. 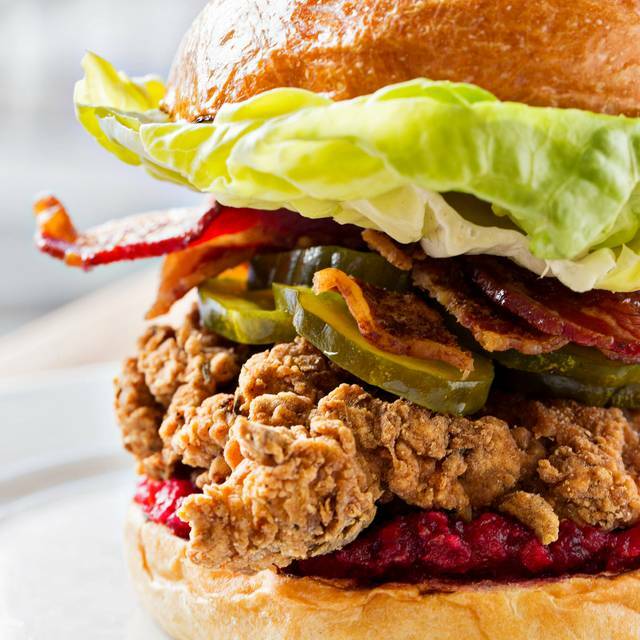 Great food—fried chicken and burger. 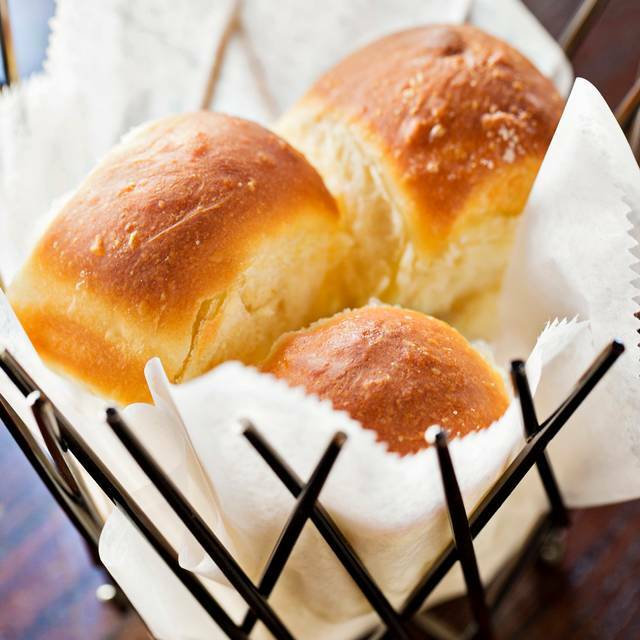 The rolls are a must! Sit outside if the weather is nice! Met up with some family friends who happened to be in town and suggested WT based on prior experience several years ago. Service was terrible and had to go hunting for our server for drink refills. Food took almost 45 minutes to get delivered to the table. There are much better food options in the city for this price point. Business dinner for five and we were all pleased with our choices - Salmon, trout, swordfish and soft shell crabs. Service was very good. We were given a nice quiet round table that facilitated conversation. Would recommend. 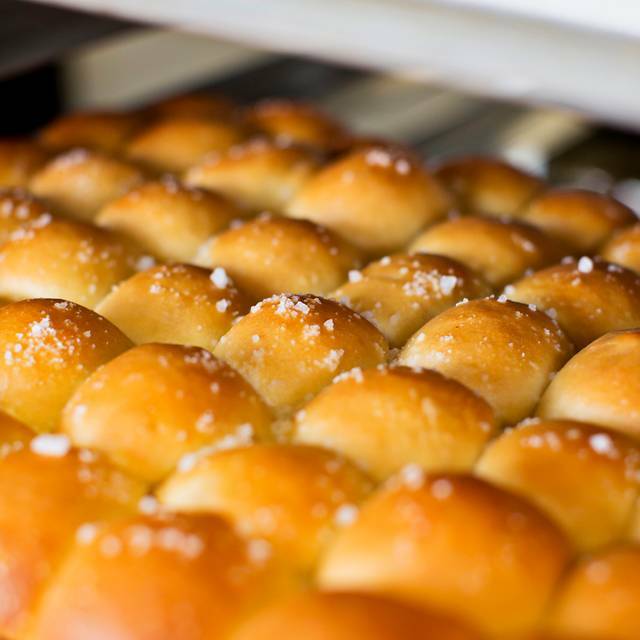 The Parker House Rolls made for an outstanding beginning. The trout and the short ribs were delicious and flavorful, and our international visitor devoured the fried chicken, pronouncing it fabulous. Nate and his assistant (a trainee) provided superb, attentive service. Woodward Table was very good. The food was tasty, and the portions huge. We had 6 people, and each pair split one dish and one side, which was PLENTY. We ordered the Chicken n Waffles, Hot Mess, and lox Benedict, and all were delicious. It was quiet and had plenty of tables. So for anyone waiting two hours in line at Ted’s Bulletin (which I happen to love), think about Woodward. The hostess warned us that people had been complaining about the service, and sure enough, it was slow and spotty (ex: “I’m sorry, I forgot to put in your wine order. What did you want again?” The food wasn’t great either. Update: The manager wrote to me to apologize and generously offered us a gift card so we can try the restaurant again. I appreciated her quick response. I'll update the review once we visit Woodward Table again! Just had dinner at the Woodward table. Ordered the trout and the lamb shank. The food was great and the flavor and cooking was spot on. The service is however terrible. We were told about the specials and when we ordered the wine on special it took 20 minutes for the server to return to us only to say that the highlighted wine was something he couldn't find. He offered a lesser value wine at the same "special" price. The offered was declined with the server giving attitude and rolling his eyes. Service declined from there. Table utensils were set wrong. wine was never refilled and customers had to bus the table of empty glasses and refill beverages. We were offered another tables' meals because communication was not good. At the end of the meal I asked to speak with a manger to voice concerns and was told I could leave a message. Which speaks volumes. If there is no manager on the floor no wonder there are service issues. Beware. Food was really very good however the menu online was not their menu any longer. There were no pizzas small bites or big bites. Only traditional apps and entrees. I am not a service crank but service was unprofessional start to finish. Walked in to a not busy wait stand and was told to wait because others were waiting ahead of me. I reiterated I had a reservation and was just told a table would be ready after others were seated. We waited about fifteen minutes to be acknowledged and then the waiter asked if we were ready to order. We inquired about cocktails and it took another several minutes for waiter to return with drinks menu. He waited at table as we read drinks menu then took order for drinks and dinner at same time. Appetizers came prior to drinks and entree came immediately after cocktails. We never saw waiter again until we were offered dessert. Food was good and ambiance lovely. Restaurant was quiet and not packed. Bar was near empty. Don’t know why service was so indifferent. Don’t know if I would return. We enjoyed it, but something was missing in the ambience and a disconnect on the food and pricing - expensive for what it was. Solid food. Service a bit inattentive at times, particularly since you shouldn’t have to sit around waiting 10 minutes to get your check at a business lunch. I was very disappointed with my entree today; I figured I could always trust Chef Buber for fried chicken but it was old and cold (and not in a good way). And that was also after the manager wouldn’t let me order a chicken sandwich from WTF (which I know shares a kitchen with Woodward table). And we ordered Parker house rolls that were never delivered (and thankfully not charged for). Overall a very disappointing outing! I expected better! Hostesses were extremely rude..had to get a manager involved. Definitely wouldnt go back. Food is expensive and not worth it. Perfect spot for a business lunch and they can usually squeeze you in if you forget to make reservations. The staff is friendly and professional. The food was good and came quickly. We had a salad with shrimp and a salad with salmon. The salmon was cooked and seasoned perfectly. My colleague loved hers as well and commented she would be back. (It was her first time there.). I’ve been here 4-5 times over the past year and the experience is always a good one. The host was horrible - couldn't manage a smile and without looking down to check, simply told my friend that there was no reservation and helped someone else before finishing with her. When I arrived 30 seconds later he was rude. The waiter was attentive until halfway through the meal when we never saw him again and he brought our second glass of wine after we paid the check and were getting ready to leave. I expect more from this place. Very happy with every course. I had the Popeye Salad with salmon for lunch. The salad was yum and the salmon was cooked to perfection. 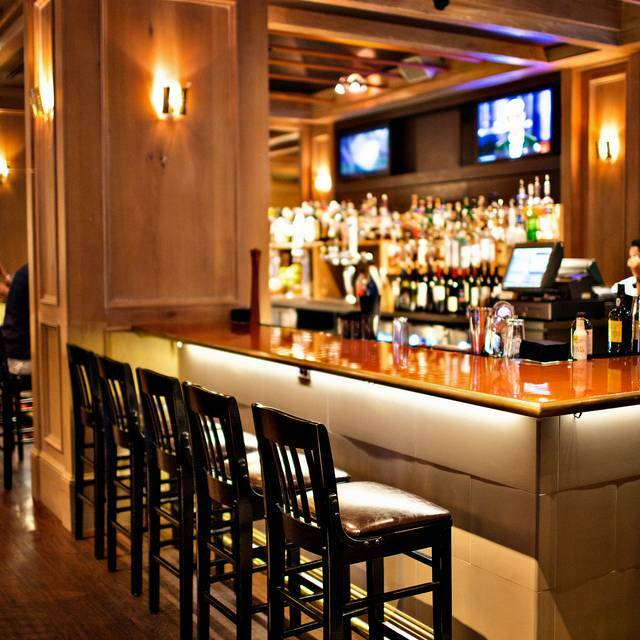 The service was good and this place has a lovely ambiance. Good for business or personal lunches. Great food, great service and outstanding atmosphere for a couples dinner. Good spot for lunch with friends. Although the vegetarian options are very limited, the cauliflower steak was excellent and I would order it again. Easy-to-get-to location. To be honest I travel and eat out a lot and this place is mediocre with food and the service was less than that. The waiter came to the table once, took a drink order, came back to take the food order and we never saw him again. The food was delivered by the kitchen - was ok and no one ever checked to see how the food was or if we needed more water, another drink, extra sauce or anything! There are a lot of great restaurants in DC so I’d pick someplace else. This was disappointing. The last two times we were here the food was good and the service at least okay. It went way south--the duck I had was dry and pretty petite for $29, to start with. Great atmosphere, Great Proactive Service. They know how to cook a steak! Perfect Medium Rare. You MUST save room for dessert. I had a wonderful 3 hour dinner reconnecting with a family member. We will be back. We had such high hopes, but this restaurant disappointed in pretty much every area. Even though the restaurant was only about half full (on a Saturday night), we were given a cramped small table for two next to the kitchen and waiter’s station. It was loud and hot. One would think that the waiters would have been attentive since we were so close, but it was almost as if we were not there. Water glass went unfilled most of the night and drinks were nearly impossible to get. The food descriptions on the menu sounded delicious, but most things we ordered were sub par. The exceptions were the she crab soup and the dinner rolls. Considering the cost, we will not give this place a second chance and will not be returning. Fantastic! Not to noisy. Seated quickly.